REMP SHS Stacking Microplate Heat Sealer Tecan w/ Foil Film Lab Sample Prep . New Life Scientific, Inc. This Remp microplate sealer is in fully functional condition after several microplate passes through the instrument. There are front and rear plate stacks and a beginner foil roll. This product does not come with a user manual and an unfamiliar patron may need to perform sample runs to get the basic operations mastered. If instrument senses an error during the run, the error must be acknowledged in the Support/Adjustment menu. 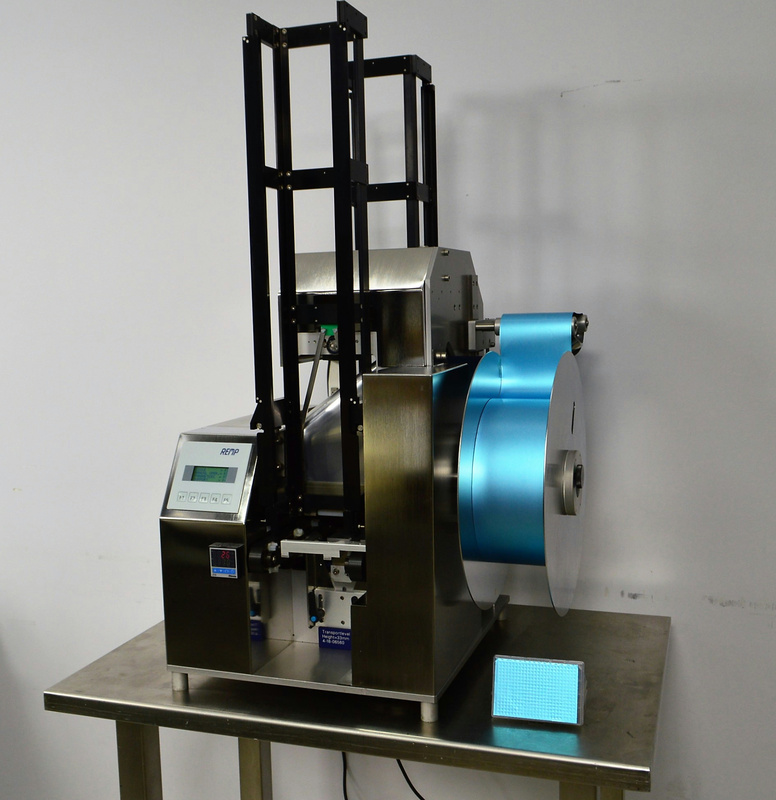 The plate sealer will require adjustments and personalized adjustments for your application, to refine the settings for the 'perfect' seal; understanding the mechanics and fine-tuning will aid the user in this process. The options below may take some troubleshooting and time for a satisfactory foil. The Remp sealer is in excellent cosmetic condition and the stainless steel body boasts an easy-to-sanitize surface. This instrument includes stackers, foil, transport block, and a power cord. The sealed plates photographed are for reference only.